You might be able to get away with riding a scratch-free bike around the city, but locking up a scratch-free bike? Good luck, buddy; that's gonna leave a mark. 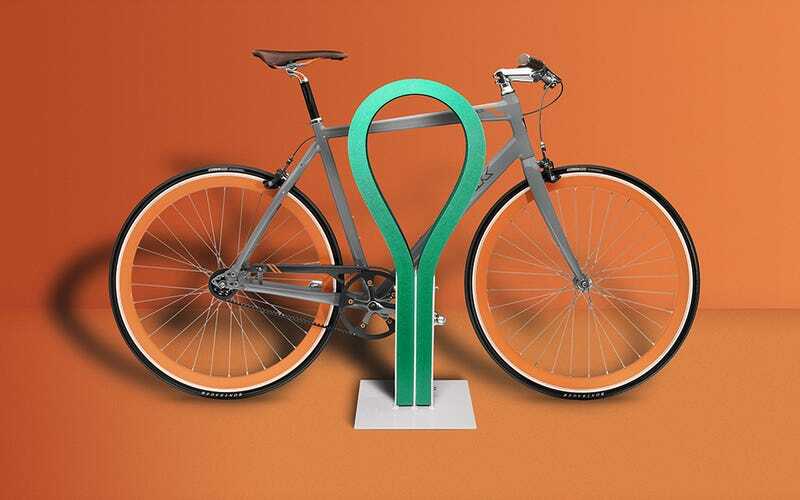 Ottawa-based design consultancy The Federal Inc. devised the colorful Loop rack to give your beloved frame a soft spot to rest against—a high-strength steel chain wrapped in a thick layer of flexible UV-resistant rubber. The whole thing is anchored to the ground with a steel base, so I guess the question is just how secure this rubber-and-chain combo actually is. The design was introduced last week at Toronto's Interior Design Show, and according to The Federal Inc., they're currently in testing mode, trying out prototypes at different locations.